ParisOpera.se makes it easier for Swedish people to enjoy French opera while being seated in your local movie theater. Today, SF Bio (largest chain of movie theaters in Sweden) as well as enthusiastic local movie theaters show French operas either live streaming or recorded versions. The idea with ParisOpera.se is to gather all showtimes in one place and simplify the booking process for the public. This way you are able to spot where and when the next show will be held without visiting multiple web pages. The work was first initiated when Olivier Guerpillon and Corentin de Tregomain met in 2014 and thought it would be fun to work together. Olivier has a great understanding of the Swedish cinema crowd and Corentin had started to sell first class programmes to Swedish cinemas – live and recorded material from the Paris Opera. “It takes a customer just a few clicks to get to the box office page in their neighbourhood if they use ParisOpera.se. 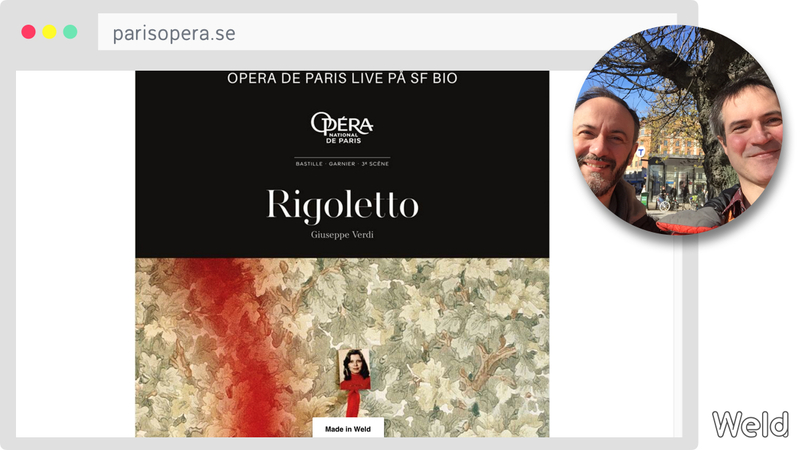 Plus, ParisOpera.se displays a few cool tools to help share the news”, explains Corentin. Initially there was only talks of a Facebook page to set up the service, but on recommendation by web developers, the team got in contact with Weld to help them create their web page – a decision they are happy to have made. Corentin explains that the process was easier than expected. “It’s easier than it sounds to make a website”, he explains, “the tutorials and the feedback from the Weld support team were above expectations”. Corentin continues: “As we develop ParisOpera.se further we look forward to using Weld in the future as well. Next step will hopefully be to expand and give each opera event its own page and distribution channels”. 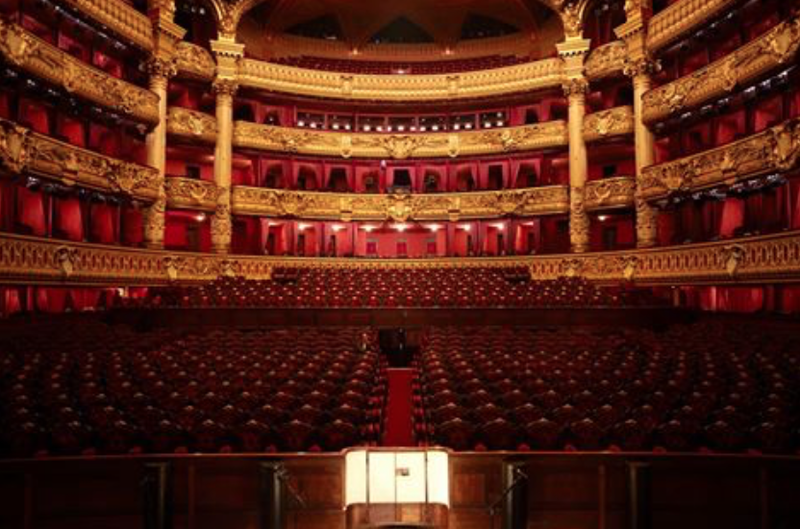 Check out ParisOpera.se for the latest updates and information about French opera in Sweden.